Our state-of-the-art production center is where we ensure the finest quality beverages are produced consistently every day! 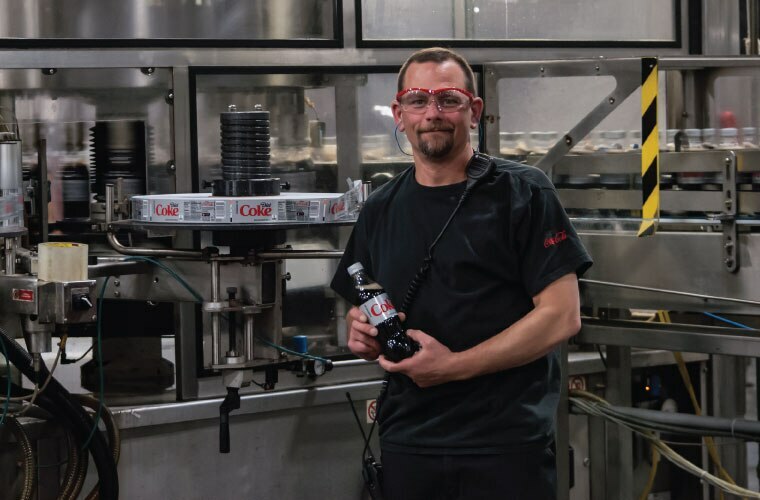 Through our Production Center, we produce 500 refreshing options, including 150 low or no-calorie choices, for every consumer taste. Producing refreshing beverages for New England requires a lot of raw material and the coordinated effort of a skilled team. Within Manufacturing there are three main functions: Maintenance, Quality Assurance, and Production. These individuals work in concert to meet the demand planners’ attainment targets for production.